Following are the biomolecules important questions for preparation of exams, tests, quiz and final papers. Students should prepare these important questions. What are carbohydrates? Why are they called hydrated carbons? Ans: Carbohydrates are polyhydroxy aldehydes or ketones. Carbohydrates are sugars and their polymers. They are composed of carbon, hydrogen and oxygen. The word carbohydrates literally mean hydrated carbons. The ratio of hydrogen and oxygen is the same, as in water, i.e., 2 : 1. Give three importance’s of carbohydrates? Ans: They form different structures, like cellulose of wood, cotton, and papers. They are found in all organisms. They are present in all parts of the cells. They act as storage compounds like starch and glycogen. Ans: Carbohydrates are also called ‘saccharides’. The word saccharide is derived from a Greek ‘word ‘sakcharon’. It means sugar. Saccharide is taken as unit (monomer) of carbohydrates. Differentiate aldo and keto sugars? Ans: The sugars with aldehyde groups are called aldo-sugar and with the sugar with keto groups are called keto-sugars. The example of aldo sugar is glucose and example of keto sugar is fructose. What are monosaccharides? Write their general formula? Ans: Monosaccharides are simple sugars. Mono means single and sacchar means sugar. They are composed of single sugar unit. Their formula is multiple of CH2O. They generally contain carbon number from 3 to 7. Draw formula of glucose and ribose? What are Sucrose and lactose? Differentiate between Amylose starch and Amylopectin. Ans: Amylose starch is a simple form of starch. Amylose have unbranched chain of glucose. It is soluble in hot water. Amylopectin is most complex form of starch. It has branched chains. It is insoluble in hot or cold water. What is glycogen? Give its function? Ans: Glycogen is a polymer of glucose. It is more extensively branched than the amylopectin of plants. It is also called animal starch. It is a chief storage compound of animals. It is found in liver and muscles. It is also found in all animal cells. It is insoluble in water. It gives red color with iodine. It gives glucose on hydrolysis. What is chitin? Give its function? Ans: Lipids are nonpolar organic molecules that are insoluble in polar water but soluble in nonpolar organic solvents like ether, alcohol, and chloroform. What is fatty acid? Give their importance? Ans: Fatty acids contain long hydrocarbon chains bonded to carboxyl (COOH) groups. Glycerol is a three-carbon alcohol, with each carbon bearing a hydroxyl (OH) group. Three fatty acid molecules combine with one glycerol molecule. They are attached to the three carbon atoms in the glycerol backbone. What are unsaturated fatty acids? Give their function? What are saturated fatty acid? Ans: Saturated fatty acids do not have double bonds. Animal fats are often saturated. They occur as hard or solid fats. In this case, the carbon atoms join by single carbon-carbon bonds. Each carbon atom binds to many hydrogen atoms. Ans: A phospholipids molecule is similar to a fat molecule. It contains a glycerol portion and fatly acid chains. But phospholipids have only two fatty acid chains. The nitrogen containing groups replace the third chain. What are waxes? Give example? Ans: The mixture of long chain alkanes (with odd number of carbon from C25 to C35), alcohols, ketones, and esters of long chain fatty acids is called waxes, e.g. cutin. Ans: Some lipids provide insulation against atmospheric heat and cold. They also act as water proof material. For example, waxes in the exoskeleton of insects. A wax cutin forms an additional protective layer on the cuticle of epidermis of some plant organs like leaves. fruits, seeds etc. What are proteins? Give their components? Ans: Proteins are polymers of amino acids. The name of proteins is derived from the Greek word called proteios. It means first place. 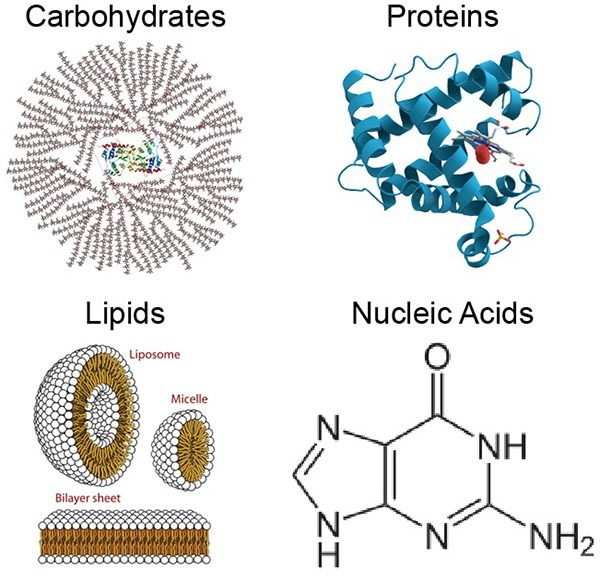 Proteins always contain atoms of carbon hydrogen, nitrogen. oxygen and sometimes sulfur. Proteins are composed of more than 50% of the dry weight of most cells. Differentiate between hydrophobic and hydrophilic amino acids? Ans: A protein consists of one or more polypeptide chains. These chains are twisted, wound and folded upon themselves to form macromolecule. This macromolecule has definite three-dimensional shapes called conformation. The function of protein depends upon its conformation. Differentiate between primary and secondary structures of proteins? 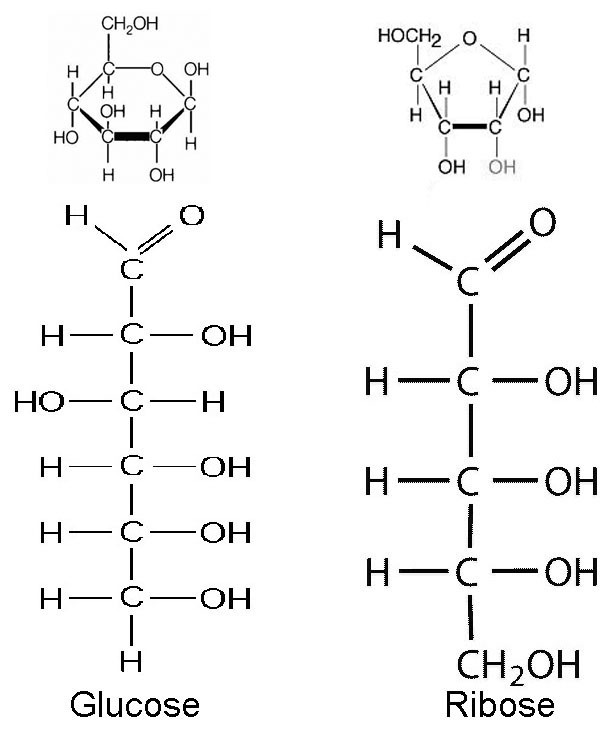 Ans: The linear sequence of amino acids in the polypeptide chains is called primary structure. The structure formed by folding or coiling of polypeptide chain with the help of hydrogen bonding is called secondary structure. Differentiate between u helix and Pleated sheet? Ans: A delicate coil of polypeptide chain held together by hydrogen bonding between every fourth peptide bond is called alpha helix. A sheet of polypeptide chain formed by the folding back and forth of the polypeptide chain is called (Beta) ß pleated sheet. Differentiate between tertiary and quaternary structures of protein? Ans: The structure of protein formed by folding of helix or sheet into a three-dimensional shape is called tertiary structure. The structure formed by the aggregation of two or more polypeptide chains is called quaternary structure. Ans: Disulphide bridge is formed between two cysteine amino acids of polypeptide chain. The amino acids with sulfhydryl groups on their side chains are called cysteine amino acids. The sulfur of one cysteine bonds to the sulfur of second cysteine and disulphide bridge is formed. What is globular protein? How is it formed? Ans: Globular proteins or spheroproteins are one of the two main protein classes. It is composed of globelike proteins that are more or less soluble in aqueous solutions. They form colloidal solutions in water. The spherical structure is induced by the proteins’ primary structure. The non-polar groups are bounded towards the interior of the molecule. But the polar ones are bounded outwards. it allows dipole-dipole interactions with the solvent. How do protein act as reserved compounds? Ans: The coding portions are called exons and the noncoding (junk) portions are called introns.